Amitabh Bachchan is a brilliant actor and he is in his 70s and he is doing great work regularly on big screen as well as small screen. 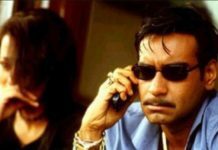 He one of the most versatile actors of Bollywood. He is famous as the nick names Big B and Shehenshah of Bollywood and he truly is. We are creating this blog post on our reader’s request. 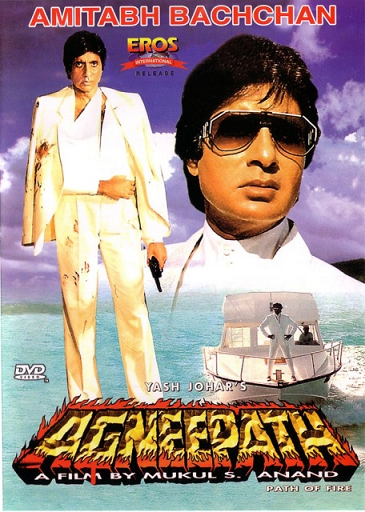 Although fans love Amitabh in every role but Amitabh as Angry Young man is something everyone loved the most. Here are the Top 10 movies of Amitabh Bachchan where he played the role of an Angry young man. 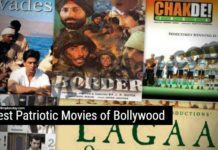 Before the release of Zanjeer, the trend of romantic movies was very much in, Zanjeer not only broke the trend of romantic movies but also became Super Hit. 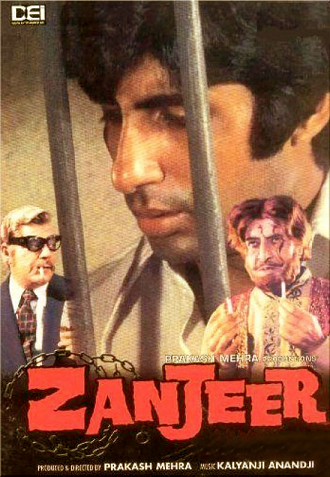 Zanjeer also helped Amitabh in his career, The movie was a Super Hit of its time and is being remade in 2013 starring Ram Charan. The movie is about an honest Police Officer Vijay. Vijay has lost his parents when he was very young. The only thing he remembers about the killer is white horse and a Bracelet. Now a Police Officer, he receives complaints about a local gambler. In pursuit of getting gambler behind bars, he ends up getting suspended by false charges. He has even been jailed for 6 months on the charges of Bribery. He decides to take revenge from the murderers of his family and his insult. He takes the help of Jaya Bhaduri, a street girl, who sharpens knife. Amitabh was the talk of the town in 70’s; every girl had a crush on him. His career was booming and every movie of his was going Super Hit one after another. 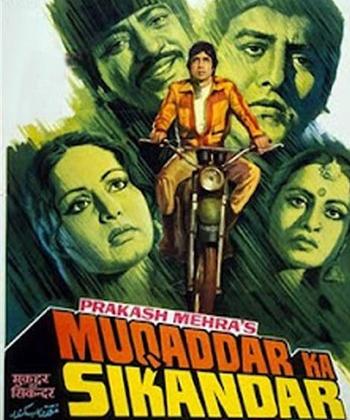 Muqaddar Ka Sikander was remade in Telugu as Prema Tarangalu. A young orphaned boy has to face the harsh life. He works at a wealthy man’s house who has a daughter as young as the Orphaned Boy. Sikander (Orphan) accidently breaks a doll of Kaamna (Wealthy man’s) daughter and promises her to give her a same doll. 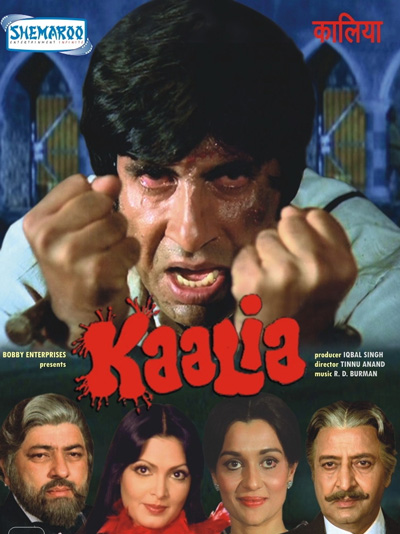 Sikander tries to give the doll back to Kammna by breaking into her room at night, and is caught by the wealthy man and is accused of Robbing the house. Sikander grows older with all the pain and hatred given to him in his childhood, Sikander dies in the end of the movie. Tha angry young man Amitabh has given a great performance in the movie. 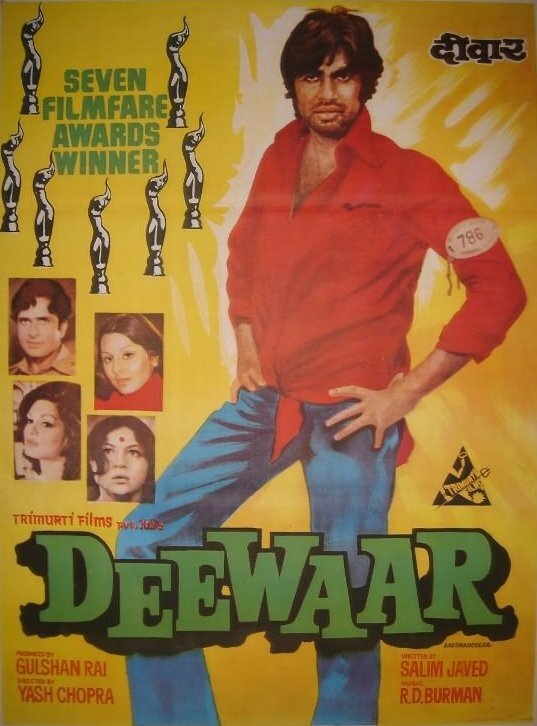 Deewar is a movie based on the lives of two brothers, Vijay (Amitabh) and Ravi (Shashi Kapoor). Father elopes after being disgraced in public leaving his wife and young children to survive on the roads. Vijay becomes a smuggler and Ravi becomes a Police Officer. The two has a different perspective towards life and want to live on their own terms. Vijay’s love interest is killed by Samant, furious Vijay kills Samant to take revenge which results in Vijay tagged as a Criminal. 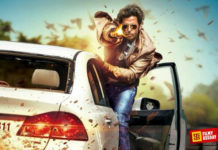 Ravi tries his level best to stop his brother but being an honest Police Officer shoots Vijay. Vijay dies in his mother’s arm seeking forgiveness. 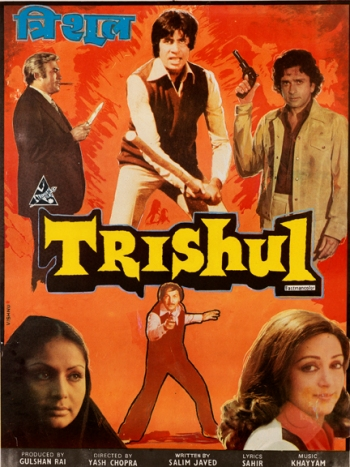 Top grosser of 1978, Trishul was remade in Tamil as Mr. Bharath. Vijay (Amitabh) is son of Raj Kumar (Sanjeev Kumar) and his love interest Shanti (Waheeda). Raj leaves pregnant Shanti to marry a wealthy girl. Vijay comes back to his father to take a revenge from his father by destroying his Business Empire. He makes his father lose his business and personal relationships as well. Later on tells Raj his true Identity and leaves. Raj while dying seeks forgiveness from Vijay for making him live such a life. A movie about a Don and the life of Don. In the pursuit of catching Don alive, Incidentally Don dies. 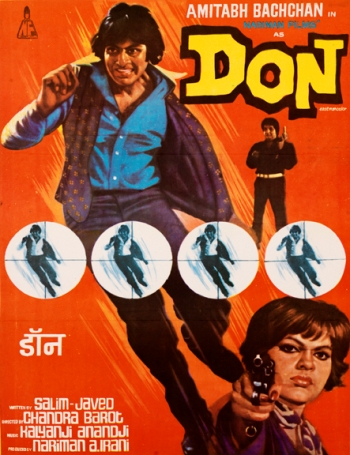 Police Officer D’Silva finds a man who is an exact look alike of Don, to replace Don so Police can fond the secrets of Don and catches all the people involved in crime. D’silva dies, and the secret of Vijay also dies with him. No one believes Vijay that he is not the real Don but just a mere look alike. He just has one hope left to prove his innocence and that is the Don’s Diary which he handed over to D’silva when he was alive. Box Office classified the movie as Golden Jubilee, was remade in 2011 with SRK as Don. A coward Merchant Navy Captain Vijay (Amitabh Bachchan) has abandoned a ship risking the life of many people is in guilt for his cowardness. He starts working in a coal mine, where his co worker Mangal troubles poor laborers. Vijay’s guilt haunts him whenever he sees Mangal troubling poor people. The engineer at site, Ravi makes Mangal and Vijay friends and convinces Mangal to change his attitude. The problem arises when Seth Dhanraj makes the lives of people working in mine, Hell. Ravi, Vijay and Mangal come forward to fight for justice when floods endanger the lives of 1000’s working in mine. Agneepath, produced by Yash Johar was remade in 2012 with Hrithik Roshan by Karan Johar as a tribute to his father. The story of the movie was written by Amitabh’s father Late. Shri Harivansh Rai Bachchan. Vijay when young saw his father being brutally beaten to death by villagers of Mandwa is forced to leave the village with his mother. Furious and burning from anger Vijay burns down a petrol pump because the owner tries to molest his mother. Looking at such a deed at the age of 12, criminals of Mumbai hire him. Adult Vijay becomes a gangster, finds his way to go to Top eliminating all his Bosses one by one. Vijay then meets Kaancha (The man who misguided villages to kill his innocent father so he could sell his drugs in Mandwa) to take revenge of his father’s death. Climax turns the game, and Kancha makes his wife and mother hostage. Vijay fights and kills Kaancha, but also dies in his mother’s lap. Kallu (Amitabh) is leading a happy life with his elder brother and sister in law, when one day his brother meets with an accident at work and lose his arms. They need money for his treatment, Kallu begs his brother’s boss for some money but is refused. 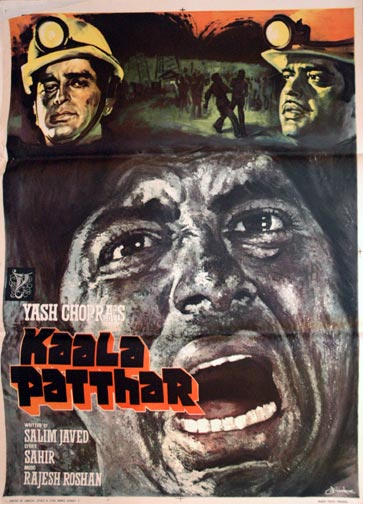 Kallu breaks into the safe of the boss and gets the money, but loses his brother. The boss puts Kallu behind bars, where Kallu becomes Kaalia. Kaalia is a criminal and knows money is everything, he earns lots of money to take care of his sister is law whom he treats like a mother. Later on, The boss kidnaps Kaalia’s niece and forces his sister in law to testify against Kaalia for a murder case. Kaalia is jailed for murder, but he elopes to find his niece. The warden of the jail finds out the reality and comes to know that the Boss is the same person who kidnapped his daughter 20 years ago. Warden and Kaalia takes revenge from the Boss for all his misdeeds. 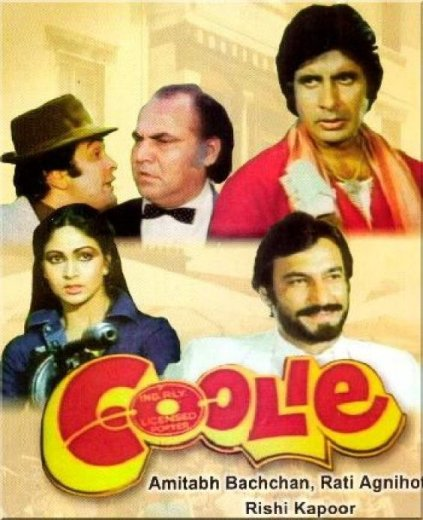 Amitabh played the role of a Coolie in the movie, who is separated from his mother, when he was very young. 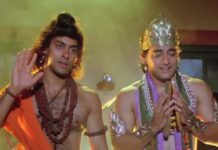 The movie is about two young children Iqbal (Amitabh) and Sunny (Rishi Kapoor) who are separated from their parents and accidently are staying with each other’s parents. Iqbal is staying with Sunny’s father and Sunny with Iqbal’s mother. When they get to know the reality, Iqbal takes revenge from Zafar, because of whom he had to stay away from his mother, and for the traumatisation Zafar has given to Iqbal’s mother. The Movie was remade in Tamil as Maaveeran also dubbed in Telugu. The move is about British people looting India’s wealth and traumatizing poor Indian people. Raja Azaad Singh, confronts Brititians and stops them from looting Indian wealth. Raja Azaad Singh’s wife delivered a baby boy, and he carves ‘Mard’ on his chest. Raja Azaad Singh is attacked by British people and is imprisoned in a dungeon. Young Raju ends up in an orphanage where a blacksmith family adopts him. Rani Durga, real mother of Raju becomes a washerwoman. Raju grows up as a tough boy and runs a Tanga. Rani Durga unites with his son Raju and tells him everything. Raju takes revenge and reunites with his whole family on India’s Independence Day. This was our list of Amitabh Bachchan’s Best film as Angry Young Man, share your favorite film from this list or you can mention some other film as well.